On September 28, the feast day of Saint Wenceslaus, America Needs Fatima (ANF) enlisted the 4,000th rally captain for the Public Square Rosary Rallies! These rallies will take place on October 10 all around the nation. All day the volunteer office had been busy with the phones ringing at the Campaign Central Office in Topeka, Kans. The total quickly rose until the evening when 4,000 was reached. The rally captain was enlisted by longtime TFP supporter and member of America Needs Fatima, Mr. Sergio de Paz of Miami. Mr. de Paz, among other dedicated volunteers throughout the country, has signed up many rally captains in his area. Mrs. Isabel Ruiz, from Miami, Florida, is the 4,000th rally captain. It is no small feat to enlist 4,000 Public Square Rosary Rally captains. It would not have been possible without the volunteers who traveled to a call center to enlist captains. This testimony of their love for Our Lady has transmitted into ardent action on her behalf. We also have to be thankful to those who designed and who maintain the web site, the computer system, the phone system, the shipping department and the correspondence department. Of course, without Our Lady’s grace, none of this would be possible. 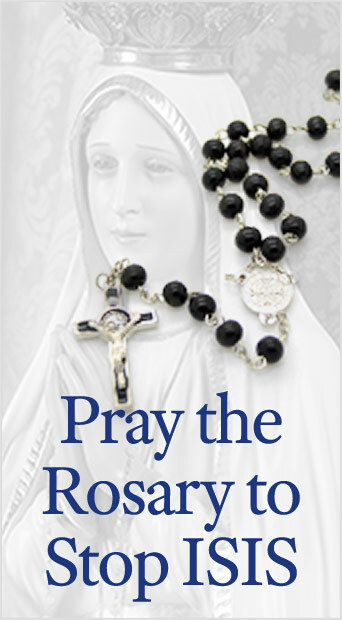 In prayer, let us continue to thank her, but also thank her by our deeds by having the best public square rosary that we can. If you wish to become a rally captain it is not too late. You can do so by calling (866) 584 – 6012 or by clicking here to sign up online. This entry was posted in Events of 2009 and tagged 4, America Needs Fatima, Campaign Central Office in Topeka, Florida, Kans., Miami, Our Lady, Public Square Rosary Rally, rally captain, Rally Captains Reached, Saint Wenceslaus by Robert Ritchie. Bookmark the permalink.